Train travel is well and truly back on the travel agendas of tourists worldwide. And why wouldn’t it be? It’s romantic, adventurous, scenic, thrilling and a whole lot more. There are still some wonderful trains around, from the all-time favourites such as the Trans Siberian Railway and The Royal Scotsman to mind-blowing modern bullet trains which almost run on nothing more than adrenalin. 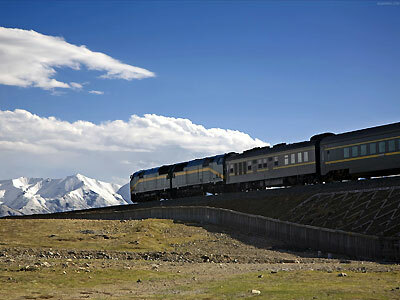 The selection of the best train rides available in the world depends on what turns you on – the super luxurious train and railroad cars, locomotives for the traditionalists, as well as train trips with varying levels of white-knuckle adventure (such as the national railway of Ecuador which snakes its way precariously along the sheer cliff faces of Nariz del Diablo or Devil’s Nose and is not for the faint of heart). 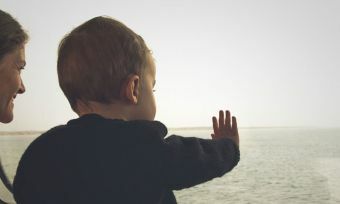 Travelling by train is great way to take a holiday, especially for the restless amongst us who want constant adventure and get bored lying on a beach for too long. Rather like cruises on wheels (but without the endless food), a great train ride can introduce you to incredible landscapes, off-the-beaten-track culture, and interesting travelling companions. Yes, there’s still a passion for trains within most of us. It’s the sense of journeying that does it, the changing landscapes, the borders crossed, the strangers met fleetingly between stops. As for the trains and carriages themselves—you choose between steam trains, electric trains, cog-railways and diesels. Here are 9 Great Railway journeys to put on your bucket list. 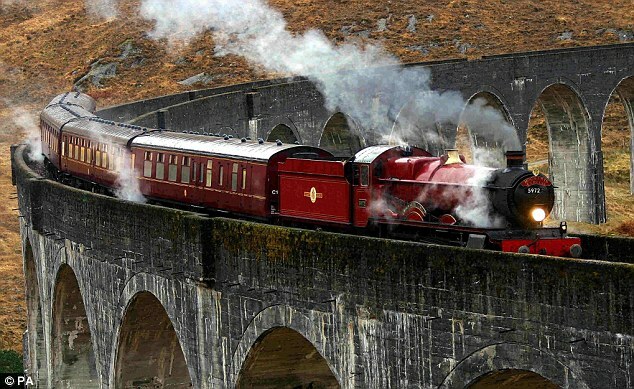 Also known as the Hogwarts Express, Scotland’s legendary Jacobite Steam Train is photogenically featured in the Harry Potter films when Harry and crew are transported by train to Hogwarts from Platform 9 3/4 at King’s Cross Station. Away from the cameras, the historic Jacobite runs from Fort William to Mallaig, essential destinations when touring Scotland’s West Coast. The 135km round-trip journey features old-fashioned carriages and compartments, plus the pure nostalgia of traveling under the power of steam, as it winds through through Highlands valleys and beside lochs and glens. One of the main highlights of the journey is crossing the 21 arches of the Glenfinnan viaduct, memorably captured in the Harry Potter films and overlooking Loch Shiel. Then, travellers can exit the train at Glenfinnan station to stretch and visit the West Highland Railway Museum. After, the train passes through the villages of Lochailort, Arisaig and Morar before reaching the end of the line in Mallaig, the ferry port for the Isle of Skye. Views from Mallaig stretch across the water to the islands, and the little harbor town is small enough to explore on foot before the return journey to Fort William commences. Tip: Try to book a seat in carriage D, featured in the Harry Potter movies. 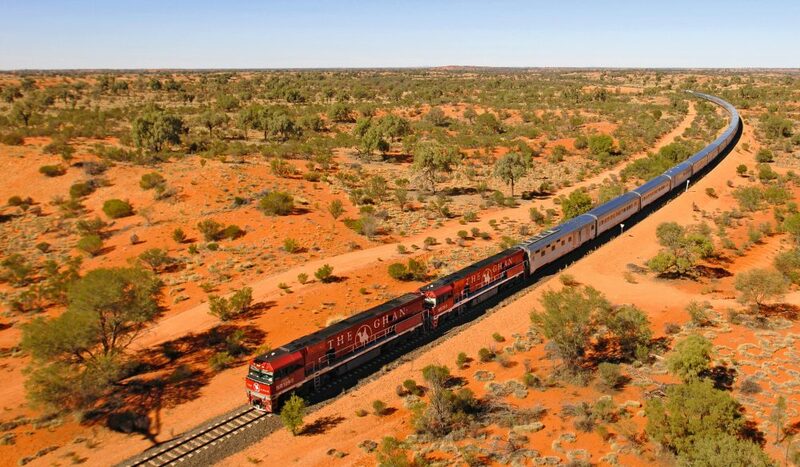 The Ghan is surely Australia’s greatest train adventure. If you have ever wanted to travel around Australia, this is your ticket to ride. It also provides you access to parts of Australia that you would otherwise never see. The Ghan cuts pretty much straight through the centre of Australia, travelling from Darwin down to Adelaide, with plenty of stops in between, over three nights and four days. The total distance travelled (one way) is just a touch under 3,000 kilometres. In addition to the train travel, the Ghan expedition offers some fantastic side trips along the way, from a cruise along the Katherine River, or a scenic flight over Kakadu National Park, or Uluru. Beginning in Siliguri at the foot of the mighty Himalayas, the little blue and red Darjeeling Himalayan steam railway climbs over two thousand metres into the mountains, peaking at Ghum and finally reaching Darjeeling at 2,200 metres above sea level. It was opened in 1881 by the Eastern Bengal Railway Company in the form of a treacherous, crazy trail of loops and steep gradients, and though it was gradually improved and is now owned by the Indian Railway Company, it is still just about the most thrilling, history-infused steam train ride you could ever hope to experience. It was once used for goods as well as passengers, chugging on through years of searing heat and overwhelming monsoons, and it even transported military personnel during the Second World War, but it was awarded UNESCO World Heritage status in 1999 and now only carries passengers. You’ll see plunging gorges beneath ancient steel bridges, vast mountain panoramas, pine forests, towering rock faces, wild rhododendrons and, of course, the famous interlocking shelves of tea plantations along the way. A veritable rolling Maharaja’s palace, this train has a quite unbelievably ornate interior to match a seven-day itinerary of dazzling colour and variety. For those hankering after the kind of luxury the Maharajas of yesteryear enjoyed, the Palace on Wheels delivers, with luxurious air conditioned cabins – a breath of fresh air in this country’s steamy heat – wall-to-wall carpeting, a well-stocked bar, two dining cars and very personalised service that caps off a trip that’s heaven on earth, at least for seven days. Beginning in New Delhi by night, the train trip follows a winding path through Jaipur, Jaisalmer, Jodhpur, Sawai Madhopur, Chittaurgarh and many more outstanding Indian glories. Stops are scheduled in for all of them and offer opportunities to see tigers, flamingoes and other wildlife, explore palaces and wonder at ancient ruins. This highly acclaimed train has carried more than 1.5 million passengers in its 25-year history. Travellers are offered five rail routes around the Canadian provinces of British Columbia and Alberta. 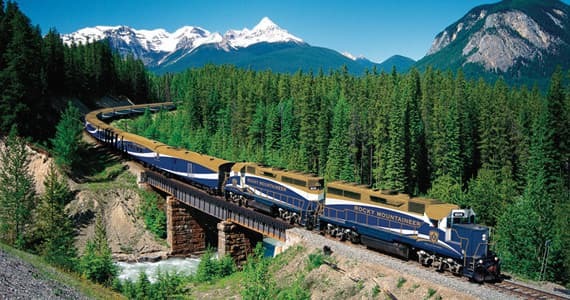 Rail routes take in Vancouver, Whistler, Kamloops, Jasper, Banff, Lake Louise, Calgary and more. The Rocky Mountaineer train is virtually a glass bubble, brilliant for taking in the picture-perfect scenery that is unique to the Rocky Mountains – glacier-fed lakes, majestic mountains and ferocious rivers. And the wildlife? Expect to see bald eagles, bears, mountain goats. It’s a photographer’s delight. And, how’s this for service, if the train driver spots any wildlife, he’ll actually slow down for the photographers on board. Thoughtful touch. No matter which trip you choose, prepare to do some serious neck-swivelling as you witness the unparalleled beauty of some of the highest peaks in the Canadian Rockies. Here’s one for the speed freaks – you want fast, how about 603 km/hr? Last year, Japan’s new state-of-the-art maglev bullet train obliterated its own week-old record for the fastest manned train in the world. Of course, all trains in commercial use don’t travel this fast – maximum operating speed is 320 km /hr, made possible by magnetic levitation (maglev) technology which allows them to float above the tracks on a cushion generated by superconducting magnets. These trains go so fast they make a sound loosely similar to a sonic boom. Even so, the Shinkansen has an impressive safety record. Over the Shinkansen’s 49-year history, carrying nearly 10 billion passengers, there have been no passenger fatalities. The Shinkansen network consists of multiple lines, with 800 trains a day connecting most major cities on the islands of Honshu and Kyushu and construction of a link to the northern island of Hokkaido is underway. Traveling by the shinkansen can be pricey, but it’s an incredibly pleasant and comfortable experience. It’s by far a favourite way of commuter travel for the Japanese. From the ultra-modern Shinkansen to the fascinating world of historic China – the China Orient Express, also known as Shangri-La Express, goes back in time to give you a fascinating glimpse into the old Chinese Silk Road. This is the world’s oldest trade route and the bridge between eastern and western culture. This route is serviced only in the summer by restored vintage trains. Indulgently decked out in red and black lacquer and old mahogany furniture, the train boasts two European toilets and a deliberate lack of hot water, due to the steamy weather. The tour itself is a very thorough round trip, beginning and ending in Beijing and making stops for a large number of truly marvellous sights such as the Terracotta Warriors, the Great Wall, the Mogao Caves and the Gaochang necropolis. China’s Orient Express offers luxury all the way and runs several routes including Beijing to Urumqi, Urumqi to Kanas, Beijing to Harbin and more. Then, of course, there is the original Orient Express – the easily-identifiable royal-blue train – and to be a purist you will need to take the Paris to Istanbul journey. More than 130 years on, there are plenty of routes you can choose – it Paris/Istanbul doesn’t appeal then perhaps Venice to Copenhagen, or Venice to London. The carriages are beautifully appointed, with Lalique glass and wood panelling, comfortable armchairs and what-gloved service. Be warned, though, that the train does adhere as much as possible to its original elegance – thus toilets are few and showers are none. Imagine travelling through the Peruvian Andes on a train modelled on the Pullman cars of the 1920s! Three and a half hours on the appropriately named Hiram Bingham (named after the first person to bring global publicity to Machu Picchu in 1911) will transport you from Poroy to Machu Picchu in style, with a knowledgeable guide on the way there and traditional live entertainment on the return journey. There’s an alternative train for the more budget conscious, but this one is the business if you can afford it and if you’re too soft for the four-day hike along the Inca Trail. The scenery, whichever level of comfort you choose, is mind-blowing. The altitude makes the air crisp and clear. What a luxurious way to experience Inca history without overexerting yourself. Love it. Every country, it seems, has some standout Great Rail journeys the train buff must try. But before you set foot outside of Australia, protect yourself with the right travel insurance for your destination. That’s the easy part – the hard part is deciding which train journey to take first!